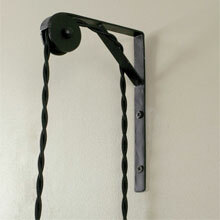 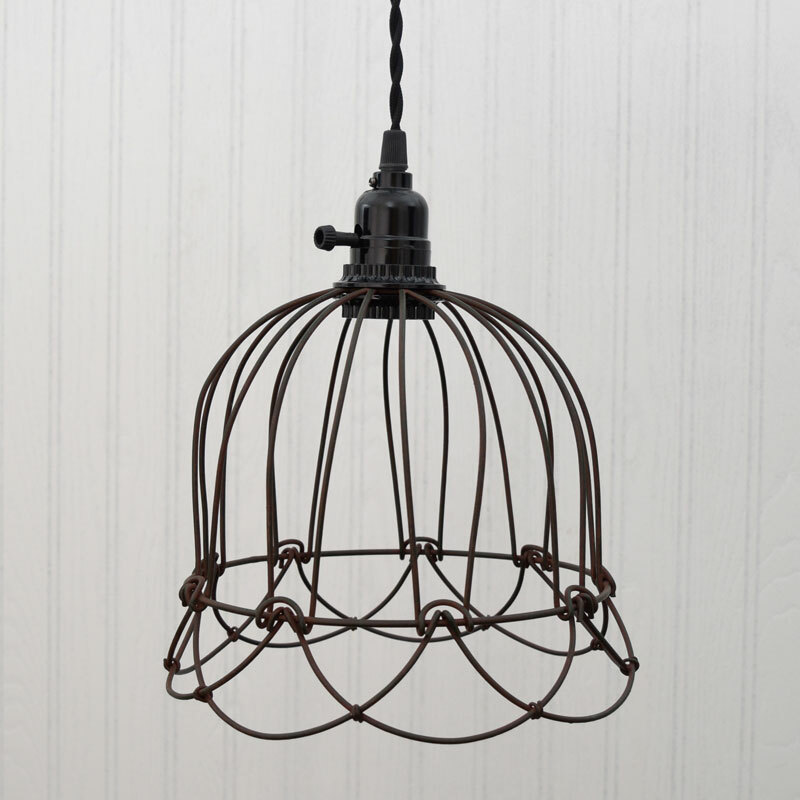 Small wire bell pendant lamp has a green rust finish for a patina look. 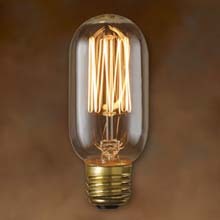 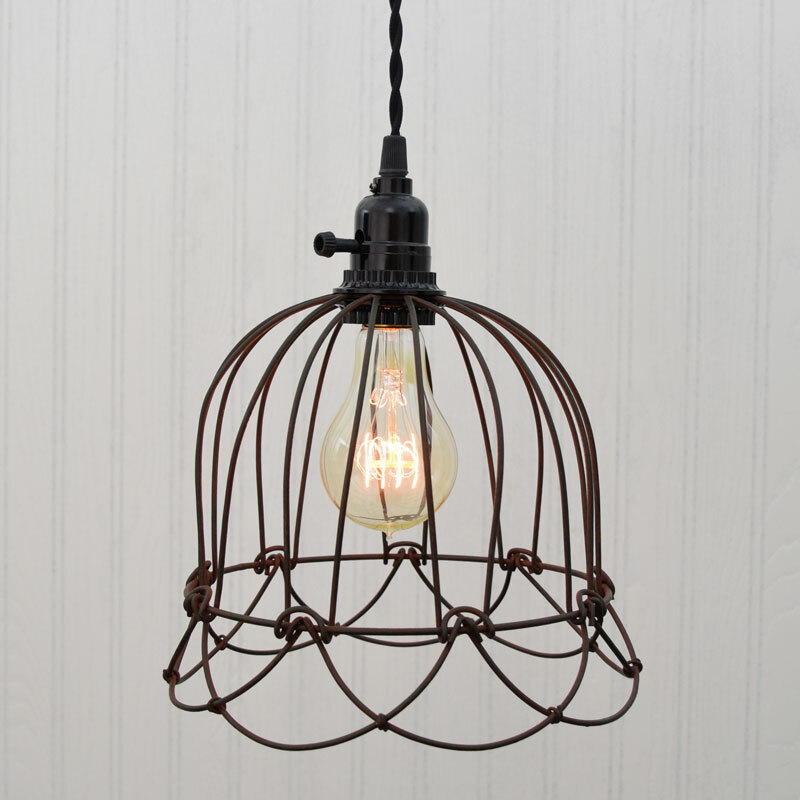 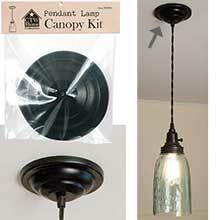 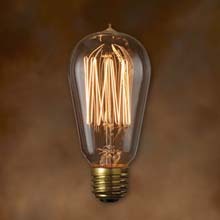 The small wire pendant light measures to be 9.25" in diameter by 8" in height. 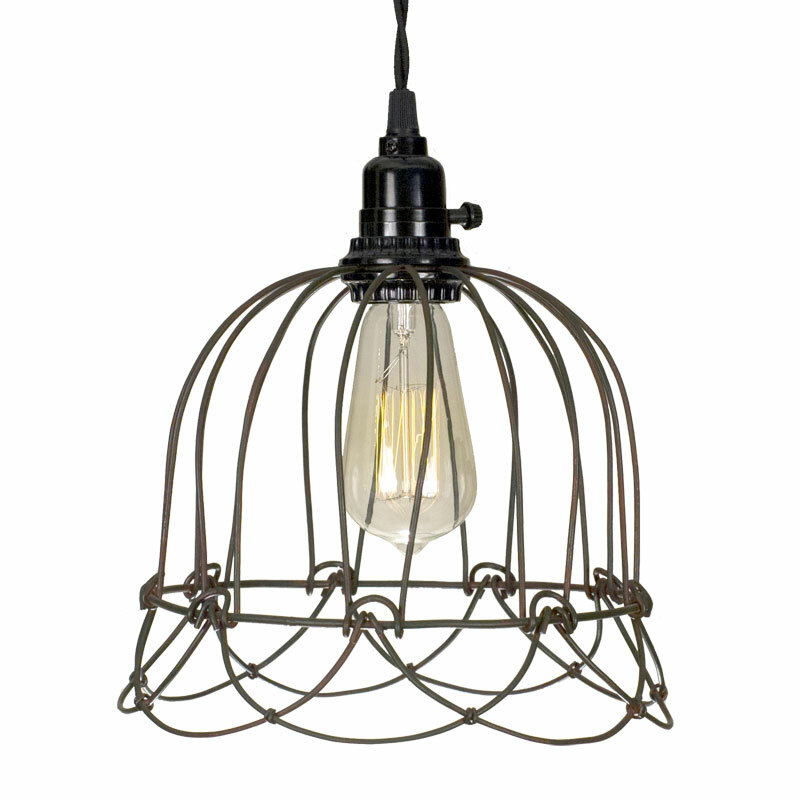 Everything included with this green/rust wire cage pendant light is a 15-1/2 foot cloth covered lamp cord with a switched socket, two finished ceiling hooks, two cord clamps for adjusting the height of the lamp and easy to follow instructions. 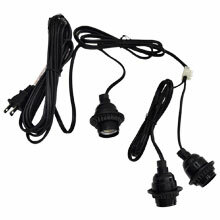 Plugs into a wall outlet, no wiring required. 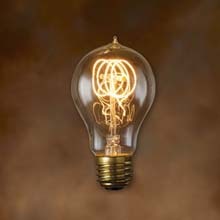 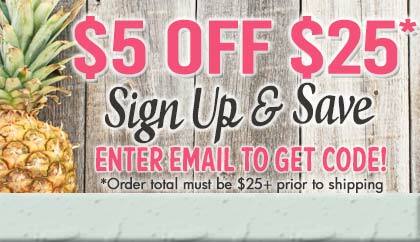 The light bulb is not included with purchase.